This week’s Tuesday Tales is a picture prompt that fits marvelously with the story I’m writing now, A Brush with Death about a pre-WWII vampire hunter. Where we are in the story is he has a tip about a meeting and he’s on his way to scope it out with a co-hunter, Allison. Allison has a twin sister and Declan is fond of one sister and not the other. He’s already had a run in with the other sister, Annette earlier in the day when she arrived to tell him his mother sent her to assist him. Declan wondered for a moment why his mother Siobhan didn’t send Allison instead of Annette but then realized exactly why and tamped that thought down. “Not for long. Here’s our stop.” Allison stood. Declan was glad to see she was dressed for action as opposed to the fancy duds her sister sported earlier in the day. She wore a pair of black loose-fitting slacks and a black blouse. A black cap was in her hand and carried a bag similar to his. “Let’s see what we find then, shall we?” Declan asked. Wondering what exactly they were going to find, Declan led the way across the concrete platform and out into the darkness. They walked for a long while and eventually entered a forest full of pines and other coniferous trees. 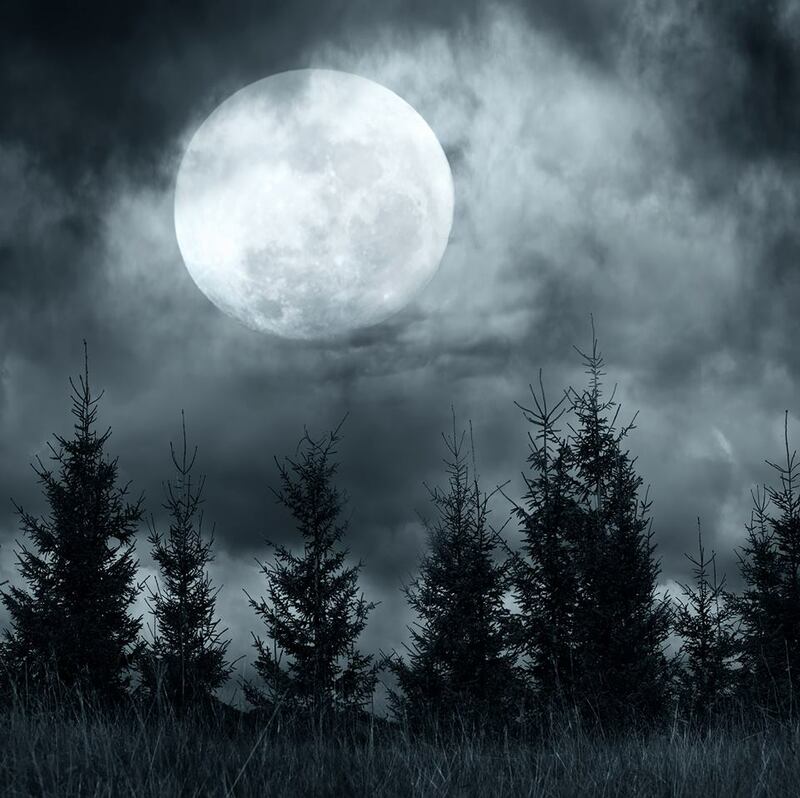 If possible, it was even darker except in the areas where the moonlight shone through the treetops and fog. The howling they’d heard intermittently seemed to stop for a few minutes but then started again briefly until it was cut off by a guttural squeal. creepy … and a bit eerie …. didn’t get the 2nd paragraph…. Thanks Iris. And yeah, sorry about paragraph two. With the 300 word limit, I couldn’t explain. Lol. Yipes! Feeding time??? Scared me there. And left me wanting to know more. Great snippet. Thanks Jean! Glad I got a yipes out of you. Lol. I love the mysterious vibe you have going here and the startle factor at the end. Great name Declan too. thanks Flossie. I’m glad you liked it- and I love the name Declan. Have long wanted to use it.